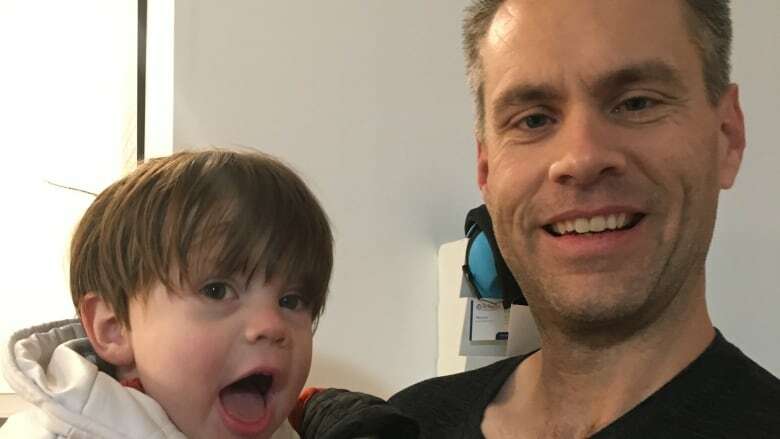 An Ontario dad is calling on the government to 'be honest with parents' after he says he was told this week that a provincial program for children with disabilities has run out of cash for the year. An Ontario dad is calling on the government to "be honest with parents" after he says he was told this week that a provincial program for children with disabilities had run out of cash for the year. Mike Moffatt's three-year-old son, Mats, has autism. In February this year, Moffatt applied for funding through the province's Special Services at Home (SSAH) program to help pay for home modifications and other supports. SSAH pays for services that either help kids with disabilities learn new skills, or provides respite support for parents, according to the program's website. In July, Moffatt found out his son was eligible — though not officially accepted — to the program according to a letter from the Ministry of Children, Community and Social Services. And since then, Moffatt said he and his wife have been playing "voicemail phone tag" with the ministry, trying to find out the status of their son's application. The answer came in a phone call this week, when Moffatt said he was told the program had run out of money for the rest of the fiscal year, and that he'd have to wait until at least the spring to get help. "We were disappointed," said Moffatt. "There'd been so many stops and starts that we kind of thought this might happen, but it was disappointing to have this confirmed." Moffatt is a professor at the Ivey School of Business at Western University and a well-known economist. The next fiscal year begins April 1, Moffatt said, which would make his son at least four years old by the time he receives services through the program. It would also be more than a year after he first applied. Moffatt said the situation is doubly frustrating, given what he's been told about the importance of early intervention for kids with autism. "But then you're told, 'Oh well there's this waiting list, you'll have to wait a year, you'll have to wait two years and we don't have enough funding,'" Moffatt said. CBC reached out to the Ministry of Children, Community and Social Services on Tuesday to confirm whether the program had run out of money for the fiscal year, how many Ontarians are recipients each year and what the criteria is for receiving money. We are awaiting a response. Moffatt said he wants the government to be more up-front with parents about wait times and the likelihood they'll be accepted into a given program, so that families can make alternate plans if necessary. His family will likely pay out of pocket for Mats' services, but he knows that isn't an option for everyone. "We have good jobs and we're able to do that, but I feel horrible for the parents who can't, who are told there are programs there to help them, but when push comes to shove the help isn't there."